WPForms is officially three years old, and wow what an incredible journey it has been. I want to take a few minutes to do a quick recap of all the things that happened this past year, share what’s coming next, and celebrate with a huge giveaway! WPForms has come a long way in the past 12 months. Here are some fun stats to celebrate our third year. WPForms is now the 19th most popular WordPress plugin of all time with over 1,000,000 active installs (Update: We’ve now passed 2 million active installs mark). We have continued to maintain a 4.9 out of 5 star rating average with over 3600+ five-star ratings. We officially translated WPForms into 4 new languages (German, Spanish, Italian, and Japanese). More translations are coming as we continue our global expansion. We added over 90+ new blog posts and 64+ new documentation to help you succeed with WPForms. Although it’s not a stat, but we now have brand swag (shirt + stickers), and yes you can get one for free. We want to send this awesome WPForms T-Shirt + Stickers to the first 150 users who share their WPForms story. 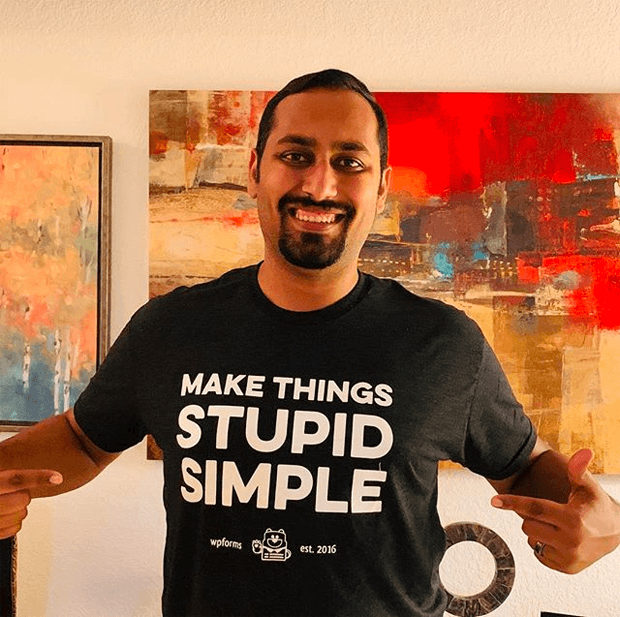 All you have to do is share your WPForms story in a quick video and then leave us a comment on this blog post sharing your favorite WPForms feature. Don’t worry, you don’t need a fancy camera equipment to record a video testimonial. We just want to hear your story and better connect with you. That’s why we have made it super easy to record and upload your video testimonial. Simply open the link below, and you will be able to use your laptop camera to record and upload your video testimonial. We’re using Boast.io to collect video testimonials. You can download the Boast app on your iPhone or Android Phone, and then type the campaign code: WPFORMS to record a video testimonial straight from your phone. Remember, don’t worry about making it professional. We just want to hear your story, what you like about WPForms, and how has WPForms helped you grow your business. I look forward to watching your stories and better connecting with you. Conversational Forms is the first true interactive form layout built exclusively for WordPress that is guaranteed to boost form completion and your overall form conversions (See Demo). Conversational Forms help make your WordPress forms feel more human. Instead of asking all twenty questions at once, Conversational Forms takes the one question at a time approach similar to a face-to-face conversation. Form Pages addon for WPForms is the first “distraction free” form landing page solution for WordPress (see demo). It allows you to quickly create a dedicated form landing page without hiring a developer or writing any code in literally less than 5 minutes. Our distraction-free layout is designed to help you improve your overall form conversions! This includes: password protected forms, restrict forms to members only, limit the number of total submissions, limit one entry per person, and close form submissions after specific date / time. We made this challenge public in form of a guided wizard inside WPForms to not only help new users experience the WPForms difference, but so that every user can give us feedback and hold us accountable. As part of this release, we also added a Dashboard widget to give you a quick overview of your form’s performance. One of the most requested features last year was Stripe recurring payments, and of course we listened to our users. We updated our Stripe addon to offer recurring payments ability. In a later update, we also added another highly requested feature: Payment Checkboxes, so you can create simple order forms within just clicks. One of the most loved features in WPForms is our smart conditional logic. We expanded this feature last year, so you can also use it with your form notification and form confirmations. This lets you decide which form confirmation message people after they submit the form based on what they filled out in the form. It also lets you create smart form notifications and route the message internally to the right person or team in your organization. Last year simply cannot be summarized without mentioning GDPR. 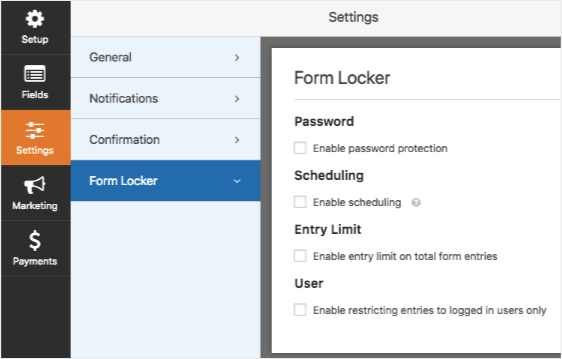 To help users stay compliant, we added GDPR enhancement features in WPForms for both our Pro and Lite users. This included GDPR form field, the ability to disable user cookies, the ability to disable storing of IP addresses, and more. Improved Entry Export – this update will focus on many requested features related to exporting. New Language Translations – we’re planning to translate WPForms into Portuguese and French. AJAX Form Submit – this is another frequently requested feature. It will allow users to submit forms without reloading the page which will make it easy to embed your forms in apps like OptinMonster and others. WP Mail SMTP Pro – we acquired WP Mail SMTP plugin to help fix the WordPress email deliverability issues. While the free version is great, we’re launching a Pro version to add more powerful features and offer proper SMTP setup service. We’re always listening to user feedback for new feature ideas and improvements. If you ever have an idea for a new addon or feature that you’d like to see, please get in touch. 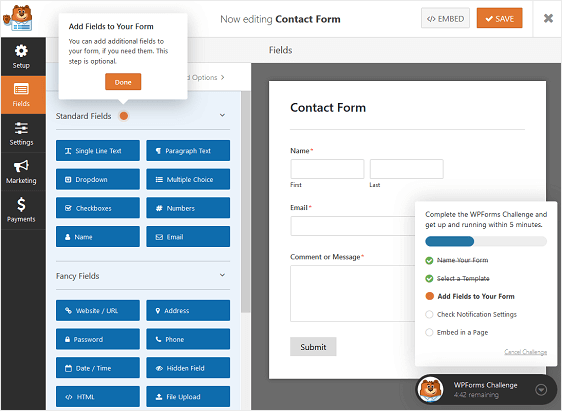 Thank you for your continued support in making WPForms the best WordPress contact form plugin. I found it easy to understand and simple to access. Though I am a beginner with hope that more benefits are therein for me on future. Thanks. my word press blog is educaterural.wordpress.com. It has an average traffic. All you need to do to receive the free t-shirt is follow the instructions in this post to share a video testimonial. When do plan to implement a Repeater feature like the ones in Formidable, Gravity, Ninja, etc.? It is a basic and much needed feature. I purchased WPForms and cannot use it most of the time because it lacks this feature. Example: in Job Applications when we ask for referrals. 2. Takes much longer to create the form (repeating several time a set of fields). 3. We don’t know how many sets will be needed, so we may add too many or not enough repetitions. Is there any estimated time when this feature will be available? We appreciate the feedback and I apologize for the frustration. Unfortunately though I don’t have an ETA for if and when this feature will be available since, due to the large number of feature suggestions we’re receiving from our users, we need to prioritize the features and enhancements that we add to our updates in each development cycle. Currently new features/enhancements get prioritized based on factors such their benefit to the majority our plugin users, the demand for the feature, as well as development resources required, however, we do appreciate these feature suggestions, and keep them for future review. I found it easy to understand and simple to access. It is really a trouble free and simple to access. And also a very fast tool to create a form.